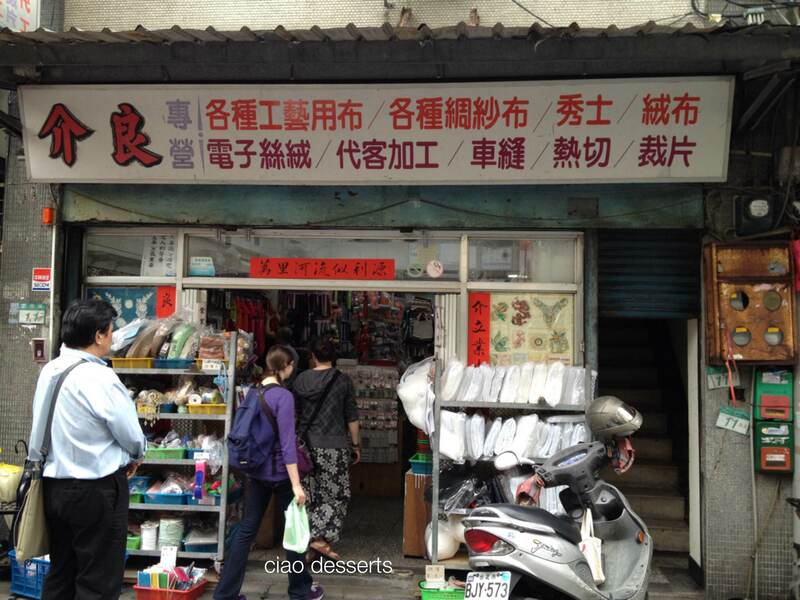 The first shop is “介良“ This is located right across the front of the Yong-Le building. It looks like a tiny storefront, but it’s actually a cavernous building, filled to the brim with every kind of trimming. It’s pretty organized for such an enormous amount of stock. Everything is on shelves, and arranged by type. 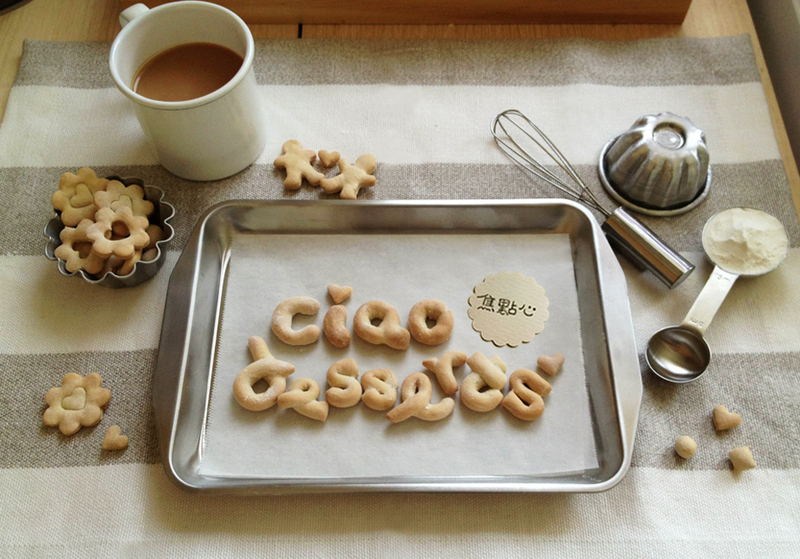 They also have an ingenious way of organizing pre-cut grosgrain ribbon using binder rings. 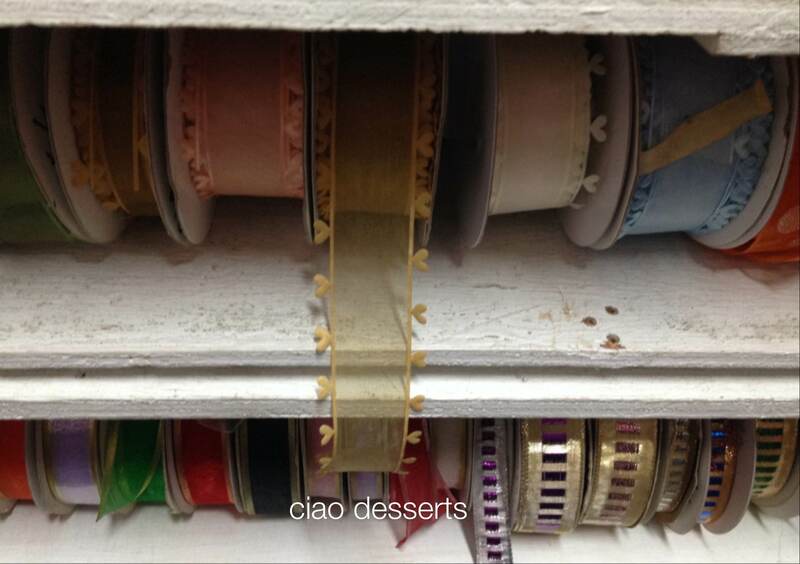 That way, you can see color and width at first glance, and they ribbons are easy to remove from the rack too. There are other ribbons that you can buy at the length that you choose (but I think the minimum is at least 1 meter) In this section, you write down the ribbon number, and bring it to the shop assistant (usually sitting at the desk in the hallway connecting the front of the store and the back of the store) and they will find it for you. Sometimes with so much to choose from, I can get overwhelmed, but I’m always happy to discover delightful items such as this heart trimmed organza ribbon, which would look perfect on a wedding present! They have a wall of shelves dedicated to lace. Most of the lace here is cotton lace, with some crocheted lace, and a small selection of more delicate pieces. For a break to rest your eyes, I would suggest visiting Miss Beads which is just a few doors down. 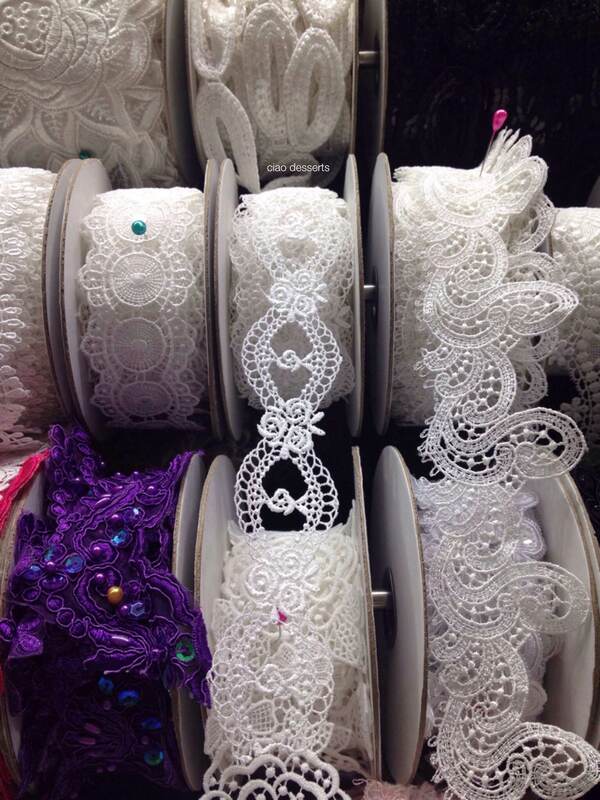 It’s a light, bright and airy store, with a careful selection of ribbons and lace. Sometimes the owner only orders one roll of the ribbon, so buy as much as you need for one project in one trip, because once it’s gone, it’s gone! 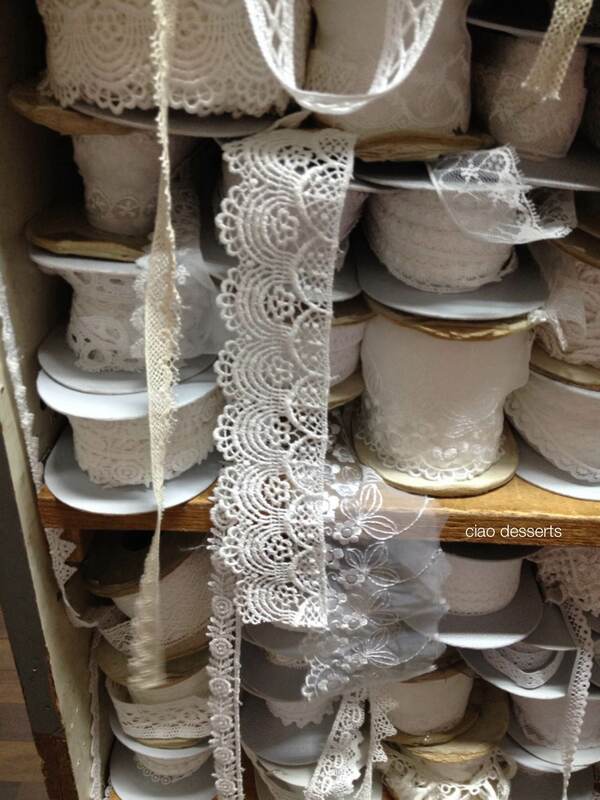 Best finds: There is a beautiful selection of handmade laces and lace pieces. The owner is friendly and informative and very patient. She rolled out pieces of lace for us, so we could find the perfect section, and helped me match ribbons to the scarf that I wanted to trim. Tai-fu Costume and Material Shop Lastly, we visited “台富” , which I warn you, is not for the faint of heart. In fact, it might do you good to go have a cup of coffee or eat lunch before you hit this store. It can be absolutely mesmerizing, or terrifying, depending on your state of mind. I’ll let the photos speak for themselves. 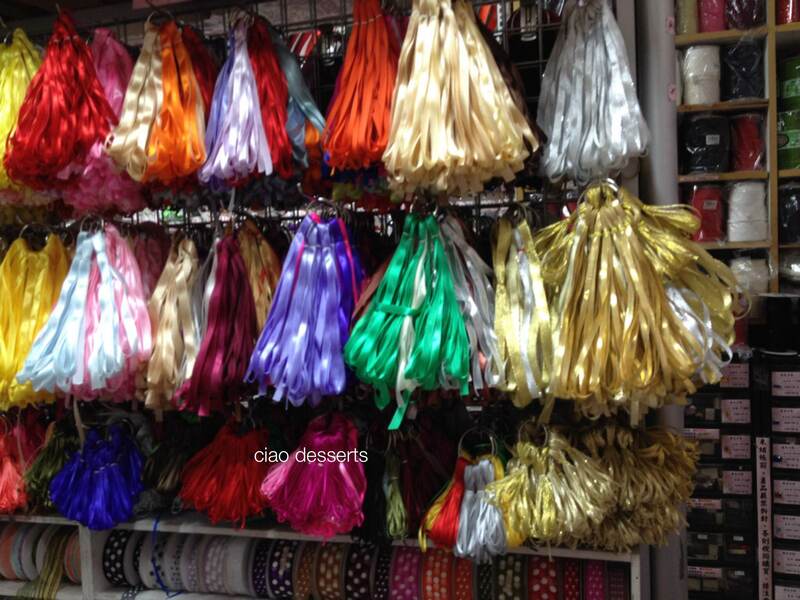 Best finds: The most bountiful ribbon selection you will ever see under one roof. But, you have to have patience to sift through the inventory. Or if you have something very specific in mind, the shop assistants can point you in the general direction. Their retail location located right across the street is much more organized, but with significantly less selection. This entry was posted in Uncategorized and tagged decorating, fabric, gift wrap, handmade, holiday season, packaging, ribbon, Taipei, washi tape, Yong-Le Market. Bookmark the permalink. WOW I wish we had so much choice here in europe!